8 albums with no clear frontrunner in sight? Surely not? There’s no category at the Grammy Awards that keeps me up at night as much as the biggest of them all. Album of the Year has seen artists of so many genres prove that they are on top of the industry, with Bruno Mars’ clean sweep of 6 nominations last year managing to be both predictable and a surprise. 4 of the albums nominated didn’t even make it into their genre categories, so the competition is wide open. This year’s contenders contains some of my all time favourite albums, not just from the last 12 months, but if my personal choice is a bit too obvious, who will win in the end? The last few years have seen a focus on established acts being celebrated for career defining albums, but debut albums have often been the unpredictable element of the Album of the Year category. Arguably the debut that had the biggest impact in 2018, Cardi B was always going to be an early favourite for a trophy this year when the album ended up being properly brilliant too. 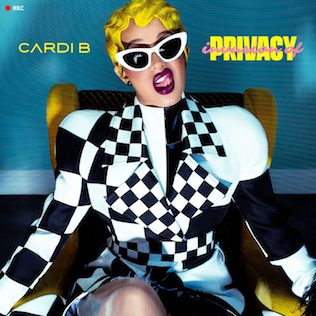 Bickenhead, Get Up 10 and knockout #1 hit Bodak Yellow are fiery hip hop tracks, but Invasion of Privacy manages to touch on multiple genres effortlessly in a way we rarely hear from Rappers at this level. I Like It is the undeniable highlight, but on Be Careful and closer I Do Cardi B shows that she’s still in charge when she dials back the energy a little. Of the Rap albums here it’s the most deserving overall experience, but I could see any genre voters siding with an established favourite like Kendrick Lamar instead. 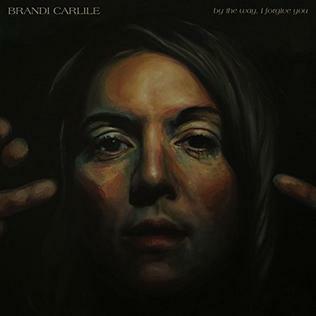 One of two big shock inclusions in the nomination list this year, Brandi Carlile is one of 3 artists in the category to also be nominated for Record and Song of the Year. As an album By The Way, I Forgive You is right up my street, full of emotional vocal performances and soulful delicate moments throughout. Opener Every Time I Hear That Song and Sugartooth stood out as highlights for me, but on first impressions alone it’s obvious to understand why The Joke resonated with voters enough to earn 4 nominations this year. Brandi Carlile’s status as an outsider in this category can only help her chances at a surprise win, she’s probably set to receive some support from Rock voters who can’t see anything else relevant for their genre represented here. I do think of the two country leaning inclusions it will fall behind Kacey Musgraves’ album in the end though. Drake’s weakest body of work as a whole still manages to include some of the best songs of his career. The inescapable God’s Plan, the storming Nonstop, the viral dance hit In My Feelings and genuine career highlight Nice For What do a good job at explaining why Scorpion is even included in these nominations. More tellingly, the fact that all 25 songs charted on the Hot 100 during the first week of Scorpion‘s release breaking a record for debuting 4 within the top 10 in a single week is why I wouldn’t rule out a win here entirely. 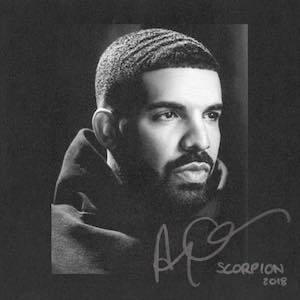 Despite having critically one of the weakest albums of the bunch, Drake has had by far the biggest year of any artist in contention. We could have another 24K Magic situation on our hands. H.E.R. 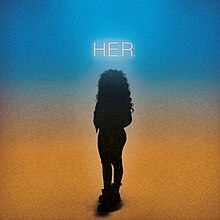 being nominated for Album of the Year isn’t just surprising because H.E.R. is a relative unknown next to most of these established artists, but because it’s hardly an album at all. A compilation of 3 EPs, it doesn’t really work as a 70 minute run of intriguing RnB and comes off more like a playlist than an album. For voters this could be an instant turn off and given that H.E.R. will be on the back foot for voters perhaps never even knowing about her music before now the lengthy run time could make a win unachievable. There’s some brilliant music here, opener Losing is glorious, while Focus hones in on this mysterious quality she has in her voice that I really loved. Here it doesn’t really make sense next to some tightly constructed albums. 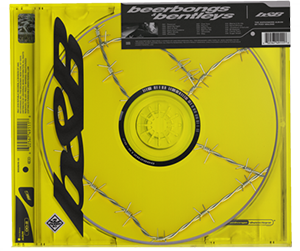 I was convinced that I had heard Beerbongs & Bentleys in full before, it feels like I’ve heard pretty much every Post Malone song even before hitting play. I hadn’t heard anything more than the hit singles in fact, so going in cold on the rest of the album had me even more confused why anyone would rate it as a body of work. By far the least critically acclaimed album on the list, Post Malone looks to appear here thanks to the ROTY nominee Rockstar, as well as the big pop hits Psycho and standout Better Now (I actually feel bad saying that I genuinely love that song). These two songs are where Post sounds at his best, pretty much any time he avoids ‘rapping’. It’s an interesting album to consider here, because in the same vein as Cardi B and Drake, Beerbongs & Bentleys appears here mainly down to the success of the artist over the last 12 months. A win for Post Malone would be the worst result for the academy, especially if it becomes the first Hip Hop style album to win this category in over a decade, but given his commercial appeal perhaps voters will follow suit. A previous 6 time nominee, Janelle Monáe is long overdue her Grammy winning moment. Watching her receive the news that Dirty Computer had been nominated for Album of the Year live on GMA had me in bits, this being one of the two albums I really wanted to see make the cut. Dirty Computer is such a well crafted body of work, the slap funk bass of Make Me Feel, the emotional performance of So Afraid, the defiant message of Americans and the womanly Pynk would be standouts on any other album. Here they are just part of the fabric that makes Dirty Computer such a brilliant album. Interestingly, Monáe is the only at nominated for Album of the Year who isn’t also nominated for at least one genre award for a song or album. Pynk is nominated for Music Video, but her exclusion from Urban Contemporary Album is baffling. Whether this shows that she’s relying more on the Pop vote than anyone else could prove important if it’s to win the trophy. I’d say it has a real shot and Janelle Monáe would be the most deserving artist to win this award in years too. Undoubtedly my favourite album on the list, it’s not only my favourite album of 2018, but arguably my favourite country album of all time. Golden Hour is 13 tracks of perfectly written songs, Happy & Sad, Slow Burn, Space Cowboy, High Horse, these are timeless songs in a way that nothing else nominated in this category can match. 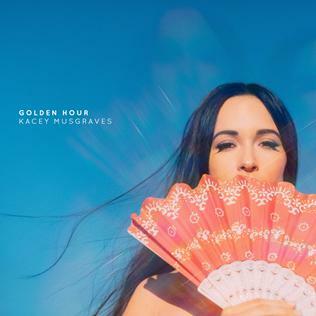 Golden Hour is like having a warm hug from a best friend, if your best friend is the supremely talented Kacey Musgraves anyway who brings warmth and delicate honesty to every word. Next to some of the more ‘playlist’ like albums in the category, Golden Hour is a true album lover’s album and for me that’s what puts it as the most likely winner in the end. The crossover appeal, cross genre and generation won’t do Kacey any harm either. One album left and the most unpredictable of the lot. Is Black Panther a soundtrack album? Yes. Is it just another excellent Kendrick Lamar album? Yes a well. Is it an anomaly in Album of the Year? Yes it is. What’s truly impressive is how Kendrick has managed to curate an album that bridges to gap between the fictional world of the Marvel epic and the very real world that him and the other artists involved talk about in their own music. All The Stars is a soaring mid tempo with SZA, while King’s Dead is a storming rap tour de force. Standout track Pray For Me sees The Weeknd deliver one of his all time best performances, incorporating African sounds in every song to bring together this vivid world on record. 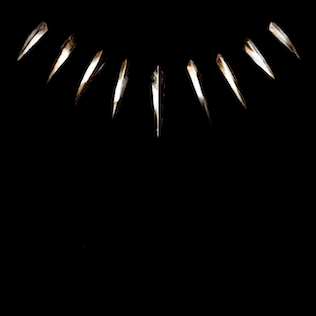 Black Panther: The Album might pale in comparison to Kendrick’s last 3 AOTY nominated albums, but this is more a sign of how good they were than a comment on this being at all a poor record. I feel that it could be the winner on the night, the timing of it alongside the Oscars feels right, as well as some justice for some of the acts involved missing out in recent years. Black Panther: The Album is surely in the best place to break the ‘soundtracks never win’ curse. 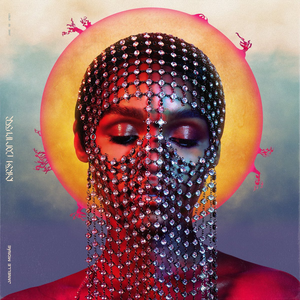 Tags: Black Panther, Brandi Carlile, Cardi B, Dirty Computer, Drake, Golden Hour, Grammy, Grammy Awards 2019, Grammys, H.E.R., Invasion of Privacy, Janelle Monae, Kacey Musgraves, Kendrick Lamar, Post Malone, Scorpion. Bookmark the permalink. Previous post ← Grammy Awards 2019: Who Should Win Record/Song of the Year?